Our quest to cook all of Heston Blumenthal’s In Search of Perfection recipes continues with Heston’s Perfect Bangers and Mash recipe. Our visit to Heston Blumenthal’s restaurant the Fat Duck in 2008 was a life changing experience. It made us want to eat better and learn more about cooking. Unlike Auldo at the Big Fat Undertaking we’ve not got the skill to try replicating Heston’s Fat Duck recipes at home. But, to try and recapture some of the finesse and quality of our restaurant experience, we are brave / foolish enough to attempt to cook each and every single one of Heston’s In Search of Perfection recipes, from the books and accompanying TV shows of 2006 & 2007. So far we’ve had great success with Heston’s Perfect Bolognese recipe and Heston’s Perfect Pizza recipe. Less successful was Heston’s frankly idiotic Perfect Roast Chicken recipe. Today at the 10pm Supper Club (it takes until that time to finish a Heston Perfection recipe) we’re serving a Perfection double-bill: Heston’s Perfect Bangers and Mash recipe, followed by Heston’s Perfect Treacle Tart recipe (which we’ll cover in a separate post). It was a meal I like to refer to as “A Rhapsody in Beige and Brown”. A sneaky 4th element, gelled butter, makes this four recipes in total. Rather than discuss each component individually we’ll go through all the steps in order to create the complete dish for Heston’s Perfection Bangers and Mash recipe. It’s important to create plenty space in the fridge and freezer, and have both set to their absolute coldest. It’s vital that the meat is kept chilled throughout the process, so low temperatures and space for your stuff will be invaluable. One of the easiest bits of Heston’s Perfect Bangers and Mash recipe. It’ll happily sit in the fridge while you get on with the rest of the dish, so it’s best to get it out of the way first. Simply weigh a bit of water and half a block of butter into a pan along with some agar powder. Then bring it all to the boil while whisking constantly. Once sieved into a flat-bottomed container you have to bung it straight into the freezer (not the fridge) so it sets as quickly as possible. Otherwise, warns Heston, the emulsion might split. What Heston doesn’t warn you to do, it to take it out of the freezer prior to serving so that it isn’t rock solid. Fortunately we didn’t fall into his sneaky trap. For this stage you’ll need to make toast the Heston way – in hot oven for about 30 to 40 minutes. What this does is ensure the bread is toasted “all the way through”, i.e. as crispy as Ryvita. Then cover your toast in water and leave it to soak for at least an hour or, as we did, overnight. The In Search of Perfection book and show describe the resulting toasted bread stock as being the heart Heston’s Perfection Bangers and Mash recipe. To obtain the finished toasted bread stock simply strain the soggy bread through a sieve lined with muslin (or a disposable hair net like we’re using – a tip from Auldo). The entire In Search of Perfection Sausage and Mash recipe is really intimidating at first glance. Getting all the different components organised and ready to use makes it much more manageable. I’d idiotically decided that I’d mince the pork myself – to ensure our mince was from leg or thigh meat. This bit of stupidity cost an hour of chopping and grinding with our cheap-but-effective cast iron mincer. You have to keep everything very cold, so try to work in batches, freeze your mincer if possible and get the minced meat back in the fridge as quickly as you can. Next up: the spice mix for the sausages. Heston’s Perfection Bangers and Mash recipe includes pepper, clove, mace, ginger and nutmeg. We blitzed these through our spice blender to ensure they’d mix evenly through the meat. Same goes for the butcher’s rusk, which also needs blitzing from its granular original form into a powder. The recipe only needs 50g of rusk. We had to buy a large minimum quantity online, which seriously pushes up the price of making Heston’s Perfect Bangers and Mash recipe. Finally weigh out your pork and your toasted bread stock. Since the recipe recommends making the sausage emulsion (you’ll see) in batches it’s helpful if you can separate all these amounts into half or quarter measures. One of our extremely strict rules when starting our Heston Blumenthal In Search of Perfection recipe project was that we would never attempt to skip on technique. Our limited resources and budget makes it hard to get our hands on Heston’s perfect ingredients like Poulet de Bresse chickens or Franz Fies Kirsch. But, we can try to stay true to Heston’s In Search of Perfection recipes by making sure that we follow every single instruction with the best ingredients available. It’s the only way we can claim that these recipes do represent Heston’s goal of “perfection”. So here’s where we deliberately skipped one of the important steps in the recipe. Here’s our excuse explanation: Heston’s Perfect Bangers and Mash recipe starts with you using water-soaked oak chips to smoke half a kilo of pork back fat over a barbecue. This smoke-flavoured fat is then pulsed through the sausage-mixture to add both succulence and smoked flavour. Except I couldn’t get hold of any back fat. As a substitute we bought the fattiest cuts of pork belly we could find and minced them. To make up for the lack of smoke flavour we replaced all the salt in the recipe with oak smoked salt (which we also blitzed to a powder in our spice mixer). Mix this salt through the minced pork, then transfer it to a Magimix or similar food processor to pulse into a smooth paste. As it happens, use of a Magimix is quite vital to this Heston Blumenthal recipe, and to our dessert – Heston’s Perfect Treacle Tart, so you could argue that these two of Heston’s Perfection recipes are also Heston Magimix recipes. We personally can’t think of any device on the market better for doing the job of making a Heston Blumenthal Perfection recipe than a Magimix. Magimix really do make the best food processors and food mixers for Heston Blumenthal recipes in our book. You’ll be blitzing the minced and salted pork, toasted bread stock, some golden syrup, rusk, spice mix and fats together to form a smooth paste. This becomes the actual banger mix. Another bit where a Magimix is vital. Our 5200XL model is normally far too large and impractical for domestic jobs but here it was ideal – we managed to do this in just two batches. For sensibly-sized mixers we’d recommend 4 batches. We thought Heston’s demand that your mix remain below 10 degrees centigrade was to avoid bacteria developing, which would prevent the 60°C poaching later on. This low temperate, we’ve now found, is actually prevent the emulsion of fat, meat and liquid from splitting. Combine all the spices, golden syrup, rusk and bread stock then add to the meat and pulse in the blender until a smooth paste is formed. In Heston’s Perfect Bangers and Mash recipe the recommendation is to pulse for no longer than 30 seconds at a time. (Otherwise the Magimix blade will heat up as it spins raising the temperature of the emulsion). Here’s the finished sausage mix, looking like Jenova Synthesis or a sleeping Krang. You need to set some of the sausage mix aside, which will be used to make Heston’s Perfect gravy recipe. It damn near broke my heart not be eating every last ounce after all the effort that went into making it. I was dreading this rather smutty-looking step, but after making your first few sausages you genuinely do get the hang of it and it becomes much, much easier than you might imagine. The casings need soaking, rinsing and then threading onto your sausage stuffer. Our cheap cast iron mincer came with a sausage stuffing attachment. To prevent air bubbles you have to run the mincer until you start to see stuffing coming through (we were flamboyantly wasteful, as you can see) then tie a knot in the end of the sausage skin and start cranking the mix along. Try to be as fast and as even as you can. 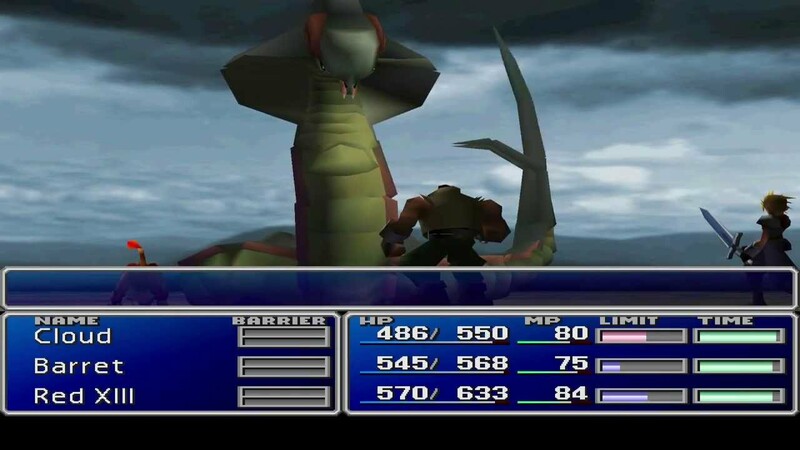 Eventually you’ll have a long, filled sausage skin snaking across your countertop like the Midgar Zolom. It may look a little bit thin and weedy at this stage, instead of fat and plump as you’d like. Not to worry, there’s a way you can fix that. Once you’ve used up all your sausage mix start twisting your sausage skins, about every 15 cm. Twist in alternate directions. If you cut these up now you’ll have thin, slightly flaccid sausages. Now for the cunning part: Hold each sausage up by one of its snipped skins and start spinning it. As the casing tightens it’ll push the sausage stuffing to the centre of each skin. Do this from both sides of each sausage and you’ll be rewarded with shorter but gorgeously plumper bangers. Then just snip off the excess casings. Some of our 20 sausages ended up being less than an inch long, others more like six. By the time we were finished the inside of the fridge looked like a Cosmopolitan article. This is a very involving bit and cannot be started until the sausages are done (you need to use some of the sausage mix to make it). By now you’ll be used to seeing Heston Blumenthal perfection recipes where star anise and onions are cooked together to create meaty flavour compounds. Heston’s Perfection Bangers and Mash recipe has you do this with six onions and three star anise. The recipe says caramelising them should take 20 – 30 minutes but we needed a full 50. Reserve half the caramelised onions for later. Meanwhile fry skin and some of the reserved sausage meat and then some extra pork mince. It needs to be done in batches and browned until there’s crispy bits to add lots of those roasted Maillard flavours. Tip all this in the pressure cooker, cover it with water and then the lid. Then set it over a high heat until the cooker gets to full pressure. Lower the heat and leave it alone for 45 minutes. Once cooking is finished strain the liquid. And then throw away all those delicious, expensive ingredients -another frequent, and frankly upseting, Heston technique. It’s the liquid you want. Liquid which now needs to be reduced until you get a gravy consistency. We were aiming to get around 200 – 300ml from just over 2 litres of liquid. We’ve had bad experiences of reducing on a fast boil in the past. Reduction happens quickly, but creates lots of very unpleasant bitter flavours. Over a safer medium heat the gravy took a soul-sapping 90 minutes to reduce. Although you can use that 90 minute reducing time quite productively by cooking the spuds for the mash. Heston’s standard mashed potato recipes usually call for the potatoes to be very thinly sliced then rinsed of all starch. Removing so much starch creates a light, clean-tasting kind of mash. Luxurious. Heston’s Perfection Bangers and Mash recipe requires something with more body than that, so all the starch is preserved by simply baking whole Maris Piper potatoes in their skins. After 90 minutes scoop them out and add butter and warmed milk (we used Jersey milk leftover from the Perfection Treacle Tart recipe’s ice cream). Mash it roughly with a hand masher, you’re looking for coarse and substantial, rather than smooth and refined. About 30 to 40 minutes before the potatoes are finished you should start poaching your sausages. For ease we slung ours in our cheapo eBay sous-vide rig. Once cooked remove them from bags, pat dry and then fry. As that’s going on find and warm the pan with the reduced gravy in it. Add in the reserved caramelised onions. Roll some sage leaves (to help release the oils), add and infuse off the heat. We used 3 leaves but six would’ve been better. As you’re preparing the mash you can have the bangers frying. Our heat was a little too low, so our bangers had shrunk and lost precious moisture by the time they’d crisped up. To plate up: Put a fat dollop of mash on the plate. Pile up some of the caramelised onions in front. Place the seared bangers on top, covering with a few more caramelised onions and then ladle over the gravy. Finally, top the mash with cubes of gelled butter (which you of course remembered to defrost from the previous day). Congratulations! You have just made Heston’s Perfect Bangers and Mash recipe from In Search of Perfection. The porky flavour of the bangers is incredible, these really do taste like the very essence of what a banger is meant to be. And sceptics amongst you will be surprised to hear that you genuinely can taste elements like the toasted bread stock. Our bangers weren’t quite as juicy and succulent as we’d have liked. We reckon this is down to the slightly-too-long frying time driving out moisture, and the lack of back fat. Our smoked salt only provided a very subtle smoky flavour; back fat might have been a wiser choice. The mash had a hefty coarseness thanks to the rough mashing and presence of starch. It’s not elegant, which suits the dish perfectly. We were dubious about the gelled butter but it sort of works, providing bursts of buttery flavour with a few of your mouthfuls of potato. Caramelised onions are always a joy, but the real star of Heston’s Perfect Bangers and Mash recipe is the gravy. We’ve discussed this before, and it’s something we noted when testing out the Heston from Waitrose Finishing Jus for Beef – good sauces demand long cooking times and bucket-loads of ingredients. This rich, thick, unctuous, porky, oniony gravy is incredible. Every flavour and aspect is dialled up to 11, which is pretty much the point of any Heston Blumenthal In Search of Perfection recipe. It might need nearly two kilos of ingredients and three hours on the stove but Heston’s Onion Gravy recipe is worth all of that effort. It’s not something you can realistically make every day (or even every week), but definitely worth preparing for a special occasion. It did take a lot of work but, unlike his roast chicken recipe, Heston’s Perfect Bangers and Mash recipe did not disappoint. We’ve always thought of Bangers and Mash as a simple weeknight meal, rather than an extravagant weekend treat. Making Heston’s Perfection Bangers and Mash recipe pretty much requires your entire weekend (especially if made alongside Heston’s Perfect Treacle Tart recipe), so it’s unlikely we’ll be making this entire meal again. Caramelise onions, fry with sausage meat then puree with a hand blender to make a fast thick gravy. (If not I’m afraid it’s Bisto: The Best granules). The Paupered Chef – Fascinating step-by-step guide to making British Bangers, including a DIY rusk recipe. A lot of their methods are very similar to Heston’s approach. Sausagemaking.org – A very useful website if you want to have a go at making your own sausages. Here’s a discussion on their very knowledgeable forums about the In Search of Perfection show and Heston’s Pefect Bangers and Mash recipe. Serious Eats – A realistic approach to making Heston’s Perfect Bangers and Mash recipe. Good photos. BigSpud – Ha! You thought we’d do a perfection report without mentioning Gary? Think again! Some fantastic Heston-fuelled research on perfect gravy recipes here. Have you made any of Heston’s In Search of Perfection recipes, or do you think it’d be worth trying to make this recipe from scratch Are there any elements from the recipe you’d use, ones you can’t stand?Let us know in the comments section below. That was a really enjoyable read. I keep putting off buying a mincer, I really should invest in one. Too kind! It was fun to make, if a bit laborious. I’m dreading moving on to the second book! I was able to justify the mincer as we could use it for the bolognese and burger recipes as well. But my siphon collection just draws exasperation and harsh mockery from my mates!